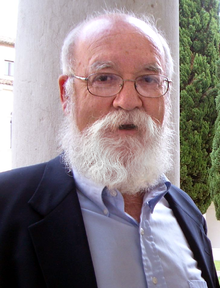 ^ Beardsley, T. (1996) Profile: Daniel C. Dennett – Dennett's Dangerous Idea, Scientific American 274(2), 34-35. ^ Secular Coalition for America Advisory Board Biography. [2012-01-22]. （原始内容存档于2012-02-07）. ^ Brown, Andrew. The semantic engineer. The Guardian. 2004-04-17 [2010-02-01]. ^ Humanist of the Year 互联网档案馆的存檔，存档日期2011-05-22. ^ Honorary FFRF Board Announced. [2008-08-20]. （原始内容存档于2010-12-17）. ^ Richard Dawkins: 'The Genius of Charles Darwin' (2008. ).